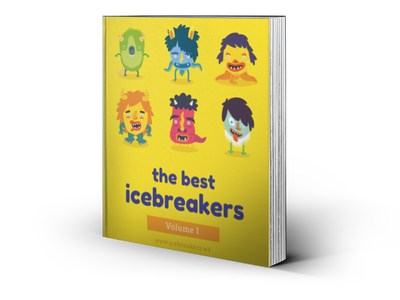 What I Would Have Done - Icebreakers, Icebreaker Ideas, Games, Activities! “What I Would Have Done” is get-to-know-you game all about what-if scenarios. This game focuses on exploring different paths in life and hypotheticals. For example: what is another career path would you try? All you have to do is pick some words out that go along with life events. Be sure to keep the game fun and upbeat by using positive words! To set up the game just write different life events on torn-up scraps of paper. Use things like prom or sports that all the players can relate to and throw them into a box. Make sure to fold the paper or cut a hole so no one can choose their drawing and set the box in the center of the game room. Each player walks up and draws their own piece of paper. They then read the paper out loud, state what originally happened in their life with the word, and then say something they would like to try instead. For example, they draw sports. They should state that they originally played soccer, but if they could try another they would play baseball. Afterward, they say why they would choose to try the new activity. Make sure no one steals the show for too long! This is a game with no winners or losers; the point is to open up discussion paths amongst the group. Be sure to listen to the other players and give a genuine answer when it’s your turn to truly break the ice.